Located along the southwest banks of the San Francisco Bay Area, Palo Alto is one of the most beautiful cities you could go to – whether for life, business or some high-quality chill time. What county is Palo Alto California in? 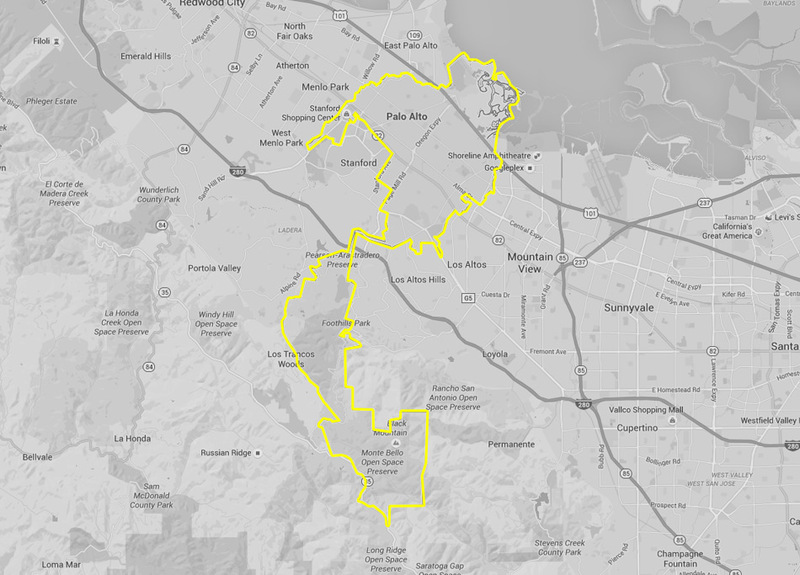 Palo Alto is in Santa Clara, and it’s easily reachable by a yellow taxi in the area. Along with being a center of tech innovation and growth, Palo Alto also has countless places to explore and visit. How to get around Palo Alto? The easiest way to go around is by booking a taxicab near me – the area’s finest Yellow Checker Cab. With more than half a century of experience working in the taxicab industry, Yellow Checker Cab has developed the name, reputation, and the service you can rely on for everything from airport transportation to wheelchair accessible cabs and corporate accounts. Instead of risking higher prices and delayed arrival times with unlicensed drivers, go with the taxi service near your location that Palo Alto residents and visitors alike trust the most. Check out some of Palo Alto’s famous places with Palo Alto’s finest taxi company! This is the perfect opportunity to let your hair down, relax, and get everywhere without spending a hefty buck. So, what is there to see in Palo Alto? With Stanford University on its western border, it is hard to talk about Palo Alto without referring to this beautiful university. Consider taking a walk around the campus yourself and check out the places where many of the tech giants started their higher education. The Cantor Arts Center and the Hewlett Packard Garage offer cultural and historic sites in the immediate area. Incredible trails like Monte Bello Open Space Preserve, Stanford Dish, and the Elizabeth Gamble Garden are also worth checking out. With countless bars and clubs in the area, you’ll come to experience the nightlife of a thriving city booming with ideas and innovation. If you are looking for a place to stay, then it is hard to go wrong with The Epiphany, the Dinah’s Garden Hotel, or the Zen hotel. Each of the hotels is an experience in its own, and there’s no doubt you’ll love everything about it. If fancy is not your thing, then there are countless smaller and less expensive hotels and motels located in and around the charter city. There are also many vacation rentals located all around the city offering nightly and monthly rates depending on the length of your stay. Ranked among the best (if not the best) restaurant in Palo Alto, Evvia has a long wait time for what could be the most extraordinary food you’ll ever taste. Be sure to book a reservation well in advance. If you are looking for something fresh, then consider the Palo Alto farmers market for locally grown fruits and vegetables. Wherever around Palo Alto that you are going, let Yellow Checker Cab help get to your destination and through all neighbouring service areas.